For any healthcare, business or government facility the safety of clients, guests and visitors is a top priority. Fire safety, in particular, is always a main concern. To aid in consistency of fire prevention measures many states, cities and municipalities have adopted a California legislation known for its effectiveness called California Technical Bulletin 133 - or CAL 133. While some areas choose more stringent standards, CAL 133 has proven very useful in fire safety of public areas. 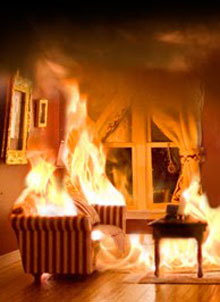 In particular CAL 133 requires that furniture be manufactured with fire barriers that will prevent the spread of flames. CAL 133 requires that seating pieces be fire tested to the standards defined in the legislation as a completely assembled piece. Components are not individually tested. A chair is CAL 133 is typically required in any public facility that contains 10 or more seating pieces. Contract or commercial furniture manufacturers are very mindful of CAL 133. Due to the endless combination of frames and fabrics (there are tens of thousands of fabrics available) not all items can be CAL 133 tested at the expense of the manufacturer. Flammability certifications are all laboratory-performed and are therefore not inexpensive. While requirements may vary it is a guarantee that only contract providers can offer CAL 133 or CAL 117 compliant furniture. Retail furniture sellers are not required to adhere to such stringent flammability codes and therefore are not the right place to buy for any public use space.